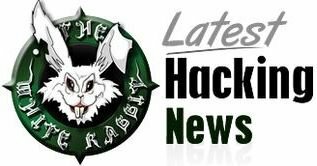 John The Ripper is a free password cracking tool that runs on a many platforms. It has become one of the best password cracking tools as it combines several other password crackers into a single package and has a number of handy features like automatic hash type detection. 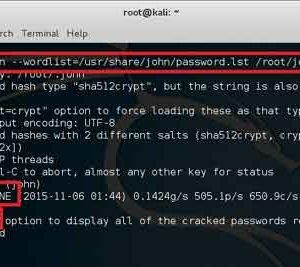 Password cracking in Kali Linux using this tool is very straight forward which we will discuss in this post. 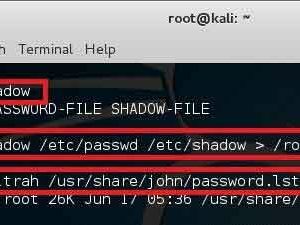 In Linux, password hash is stored in /etc/shadow file. For the sake of this exercise, I will create a new user names john and assign a simple password ‘password’ to him. Now that we have created our victim, let’s start with unshadow commands. 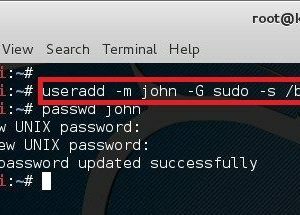 The unshadow command will combine the entries of /etc/passwd and /etc/shadow to create 1 file with username and password details. When you just type in unshadow, it shows you the usage anyway. I’ve redirected the output to /root/johns_passwd file because I got the ticks for organising things. Do what you feel like here. 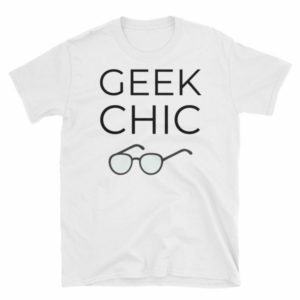 At this point, we just need a dictionary file and get on with cracking. 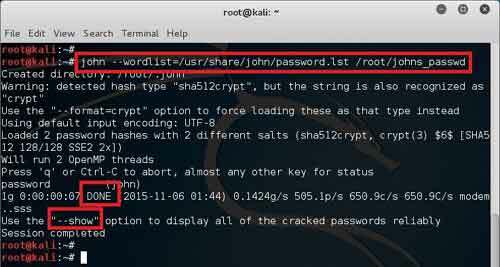 John comes with its own small password file and it can be located in /usr/share/john/password.lst. I’ve shown the size of that file using the following command. 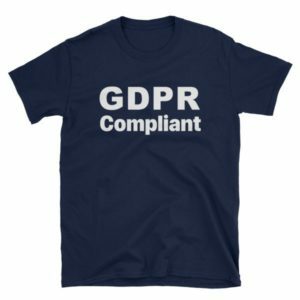 You can use your own password lists or just download a large one from the Internet (there’s lots of dictionary file in terabyte size). Looks like it worked. 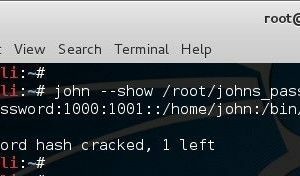 So we can now use john –show option to list cracked passwords. Note that it’s a simple password that existed in the dictionary so it worked. If it wasn’t a simple password, then you would need a much bigger dictionary and a lot longer to crack it. 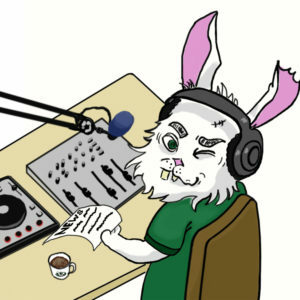 Now that we have completed the basics of John the Ripper and cracked a password using it, it’s possibly time to move on to bigger and more complex things. If you have any doubts regarding this post just type down a comment.